When a lawbreaker is mislabeled as lawmaker, even the unimaginable things will become reality. With Habib Munda’s emergence as a parliamentarian representing constituency 017, I could now see that there are many hot spots in the world where few politically motivated individuals are vying to live at the expense of illiterate compatriots using political power as lifejacket but the most notorious one can be found now in Constituency 017 (Niawa, Small-Bo and Langurama Chiefdoms) Kenema District, eastern Sierra Leone, where a bank fraudster, political opportunist, common trickster can be awarded symbol by a prominent political party to misrepresent his own people at the country’s highest lawmaking table. Many readers of this column usually refer to me as an objective and patriotic writer who doesn’t compromise the truth for any reason and who doesn’t practice the “pull him down” style of journalism. So if I can devote my time today to plot a piece like this I expect my esteemed readers to take it seriously hence it’s a matter of national interest. If taken into consideration during next elections in the year 2017, this piece might not only save the ordinary tax payer’s money but it will also rescue thousands of illiterate inhabitants of Niawa, Small-Bo and Lagurama Chiefdoms (Constituency 017) including women and children. But before going further however, I would like to take this opportunity to express to all readers my profound regret and apology for promoting on this site before and during the last elections in Sierra Leone, the same character I’m about to describe to you properly. My promotion stories about this man were authored by himself and sent to me via email after he realized that I was addicted to promoting and celebrating anything positive about Sierra Leone. So today’s story is a true reality about the man which I have gathered through careful and systematic investigations conducted by myself during my last visit in Sierra Leone. By the way, I just arrived back in Berlin and will bring to you in due course the latest about home which shall include but not limited to the negative impact of Airtel, four-for-four slogan – the new name for hardship and the impact of Hon. Alimamy P. Koroma, (my) Minister of Development who’s been mislabeled as Minister of Works (beginning from Kenema – Pendembu to Jui – Wilberforce highways). But the main character in this episode will be Habib Munda – parliamentary representative of Constituency 017.
exclude him from being prosecuted for crimes of any magnitude. Habib Munda is not only a sanctimonious liar but he is also a celebrated conman that can take advantage of every little chance to double-cross on those who do not know him well. Honorable Habib Munda, whose only consistence is his own inconsistency, who thinks political power is a get-rich-quick scheme of breath-taking simplicity at the expense of the masses, emerged as a parliamentary representative of Constituency 017 after he resurfaced from his hideout in neighboring Liberia where he sought refuge for years after he was found guilty of mismanagement and embezzlement of cooperative funds during the prewar years. He was handpicked in the year 1996 by the then power to be to represent his people in the house of parliament in wake of the James Johna’s proportional representation using his Kamajor identity as justification. He was later shown the exit way after he proved incapable of representing even an individual household lets alone a group of people. Since then, he had been working tirelessly to come back to parliament. Oh my God! When a lawbreaker is mislabeled as a lawmaker, even the unimaginable things become reality. With Habib Munda’s emergence as a parliamentarian representing constituency 017, I could now see that there are many hot spots in the world where few politically motivated individuals are vying to live at the expense of illiterate compatriots using political power as lifejacket but the most notorious one can be found now in Constituency 017 (Niawa, Small-Bo and Langurama Chiefdoms) Kenema District, eastern Sierra Leone, where a bank fraudster, political opportunist, common trickster can be awarded symbol by a prominent political party to misrepresent his own people at the country’s highest lawmaking table. Careful investigations have proved that Mr. Munda was imposed again on his own people by few blind loyalists during the past elections after he awfully failed to justify his own candidature. The symbol awarding panel proved that Mr. Munda wasn’t only a slapdash politician who only completed an adult education certificate course at Fourah Bay College and later presented himself as Bachelor degree holder without visiting a single session of lectures at the noble university, but also a fraudster who committed series of financial crimes prior to the elections. 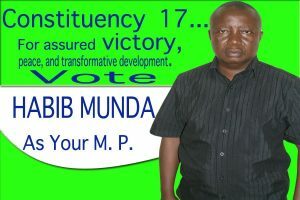 It was proved that Mr. Munda signed for, received and pocketed a fabulous amount of dollars mistakenly paid to him by his bankers (name withheld for security reasons), and embezzled funds provided by SLPP executive for party agents deployed in Constituency 017. As the Creole adage goes: Monkey nor de lef ihn black hand, or “once a thief, always a thief”, Mr. Munda resumed his usual crooked and wheeler-dealer games immediately he was awarded symbol by the opposition SLPP to represent Constituency 017. This time round, he began by double-crossing upon business people who credited him millions worth of SLPP party T-shirts and caps in wake of the past elections. But what really makes him dishonorable and political fraudster number one of the year 2013 and the worse in president Koroma’s second term in office, is his recent engagement with Youth in Action for Development (YAD), a local non-governmental organization that is currently implementing series of development projects in Constituency 017 which, ironically, Habib Munda is elected to misrepresent in parliament. With a great consternation, I’m obliged, on behalf of the board and management of Youth in Action for Development (YAD), to write you on the above subject and I hope it will meet your urgent reaction. Shortly after the last general elections, Hon. Habib Munda requested my assistance to rescue him from the embarrassing situation of walking on foot to the house of parliament after he was declared victorious in Constituency 017, where I was born and raised. 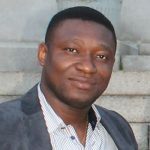 Even though the SLPP hierarchy was busy with consultative meetings on the way forward about the result of the elections with a possible parliamentary boycott as one of the major options, Mr. Munda presented to me a catalogue of claims he had prepared for the attention of parliament including lodging allowances, transportation and salaries. 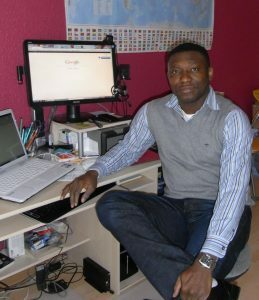 Considering the fact that Mr. Munda was the parliamentary representative of my Constituency and I’m resident in the Federal Republic of Germany where vehicles can be purchased at reasonable costs, I decided to give up to him our project vehicle – Nissan Pathfinder with registration number AGT 273, for the sum of six thousand five hundred United State Dollars (€$6,500) which is the original purchase cost. According to Mr. Munda, he was going to use the claims he had prepared for the government’s attention to secure a loan from one of the Banks to enable him pay for the vehicle. The bargained price was to be paid in two installments: $4000 on 21st December 2012 and $2500 on 10th January 2013, to enable me purchase another vehicle and ship it in February before my next trip to Sierra Leone on 13th March 2013. An official agreement was signed between Mr. Munda and Mr. Simaila Nyakoi Lansana, Board Chairman of YAD. Mr. Munda then took possession of the vehicle on Monday, 17th December 2012. Contrary to human expectations however, immediately I flew back to Germany, Mr. Munda trashed into the dustbin the above agreement, removed from the vehicle our organization’s logos and number plates and then dressed it with his own identity (MP Constituency 017) and continued to use it as his personal property without paying a dime for it. Mr. Munda didn’t only use the vehicle in rugged roads in the bushes and forests, but he was also seen by some concerned individuals using it to transport sands and stones to a construction site at Blama, until he ruined it almost beyond repairs. When the government effected payment of his “desperately expected” salaries and allowances, Mr. Munda abandoned our own vehicle and then bought himself a new one. After series of telephone calls and unfulfilled promises, we decided to accept back our vehicle without any preconditions except repair and maintenance cost. Mr. Munda has deliberately ignored that as well. It’s noteworthy that the said vehicle was donated to YAD by some philanthropic partners in the Federal Republic of Germany and we are using it to accomplish series of development projects including construction of a standard primary school, toilets, water-well, furniture, road rehabilitation, agriculture and food security for female and youth headed households in constituency 017 in general and Matakan village, Niawa chiefdom in particular, a village Hon. Habib Munda is shamelessly claiming as his own place of origin. In view of the above, I’m requesting Hon. Habib Munda to unconditionally refund within a period of 14 days, while no legal action would be taken against him, the sum of four millions, three hundred and forty four thousand Leones (Le 4.344, 000) which we have spent from our project funds to recondition Nissan Pathfinder- AGT 273. Signed agreements, receipts and photographs are available for your perusal, if deemed necessary”.